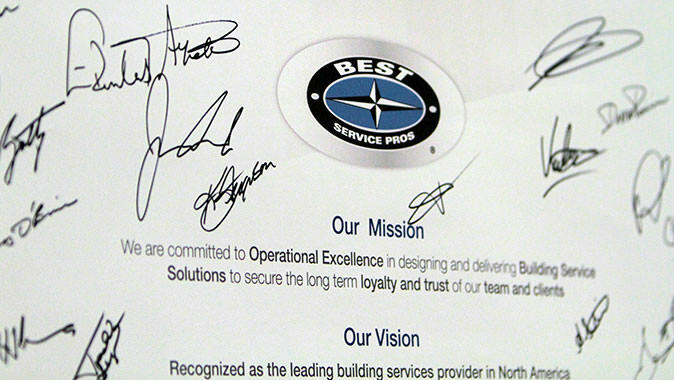 BEST has defined a clear and specific vision that reflects its values as a company. We aim to be the leading document shredding and media destruction provider in Western Canada. We have developed a detailed strategy to help us achieve this goal; by standing out from the pack, and providing the best services in the industry. By remaining competitive, consistently innovating, and investing in our employees, we can achieve this vision as a team. We are committed to operational excellence in designing and delivering document destruction to secure the long term loyalty and trust of our team and customers. In order to achieve our vision, we have made it our mission to deliver operational excellence to our customers. By building strong relationships with our clients, and focusing on customer service, we strive to create long-term partnerships that will help us to maintain our reputation as an industry leader.